The interior architecture of the ceiling Nancy designed is suspended from wire cables and provides the setting for an inviting, dramatic Dining Room. A circular opening for the chandelier plus recessed cans for additional room lighting have been strategically placed within the suspended ceiling. In addition, indirect LED lighting from above creates a glowing ambience for the entire setting. 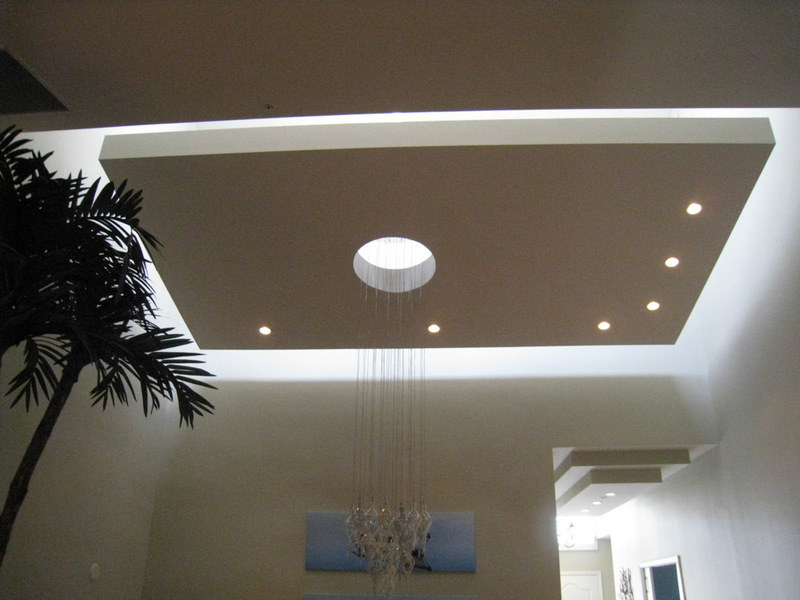 The stepped ceiling in the hallway enhances the look and feel of the suspended ceiling in the home.